Sole Proprietorship, LLC or S Corp? What Insurance Do I Need On My Farm? Each institute will be tailored to the participants’ needs as determined by a pre-attendance survey. There’s no age limit for the Beginning Farmer Institute – anyone over the age of 18 is eligible to apply. Applicants should be currently farming or planning on starting within the next year. You do not need to own your own operation to apply. We welcome women, veterans, people of color, and other minority candidates. Operators of any operation type and size are eligible to apply. This program is open to residents of the contiguous United States, Hawaii, Alaska, and Puerto Rico. 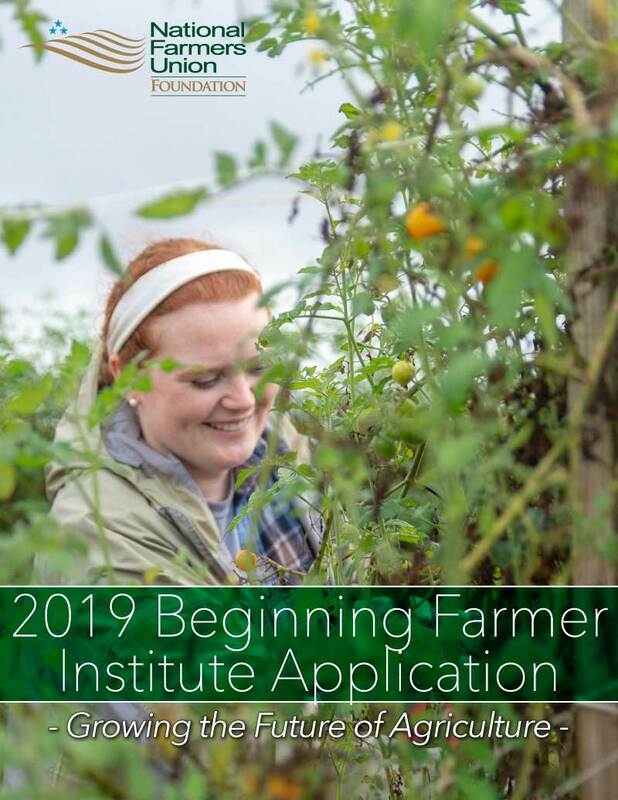 NFU’s Beginning Farmer Institute (BFI) will start accepting applications February 1, 2019. Applications must be postmarked by April 15, 2019. This program is brought to you the National Farmers Union Foundation, Farm Credit, FUI Foundation, CoBank, Farm Aid, and CHS Foundation. Questions can be directed to NFU Education Coordinator Emma Lindberg, 202-559-9882. Know a Beginning Farmer who might be interested? Share this opportunity!